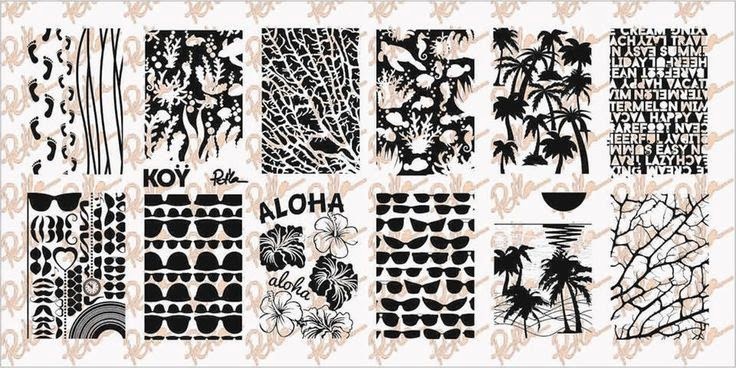 Lacquer Lockdown: Hot Off The Stamping Press: Pet'la Plate Summer 2014 Nail Art Stamping Plates! 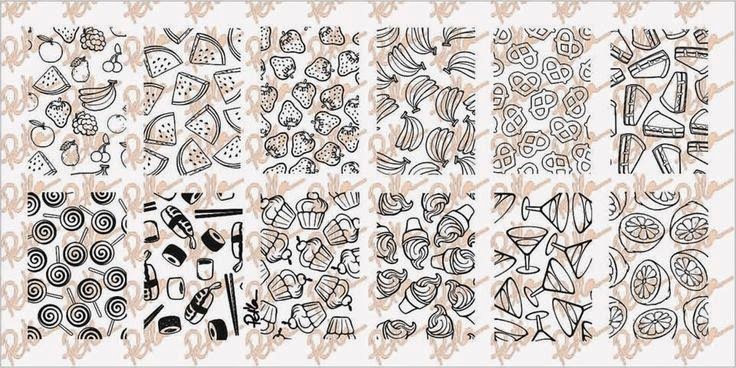 Hot Off The Stamping Press: Pet'la Plate Summer 2014 Nail Art Stamping Plates! 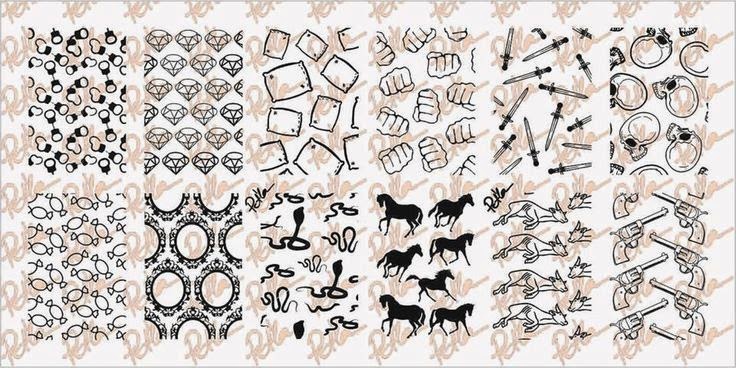 I am trying to space out all the new nail art stamping plates that will be releasing or have released recently so as not to overwhelm your wallet and your brain. Lol! There are a lot of good ones out lately right? Today I'm gonna talk about one of my favorite new brands Pet'la Plate, the indie Hungarian brand with the beautiful gold toned plates, that I introduced here. The truth is this brand has been around for a little bit so even though I recently discovered them. Petra, the owner, has already been quietly gearing up to introduce her latest collection - Summer 2014. And lucky duckies that we are there's also a little promotion going on simultaneously to sweeten the deal, but I'll talk about that a bit later. For now let's take a look at the new offerings. 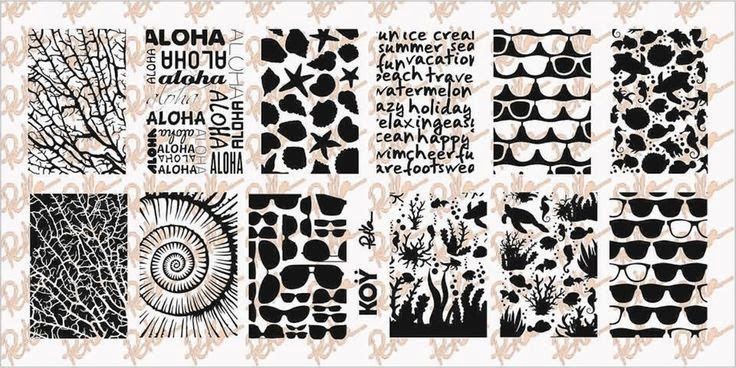 Aloha is a Hawaiian themed plate packed full of images that are nostalgic of summer - beaches, shade, shells, etc. I find this plate to be perfect for the the current season plus you all know I love ocean themed plates! Summerics is a bit more of the same Hawaiian theme. I love this plate for the sunset image alone and the palm trees! 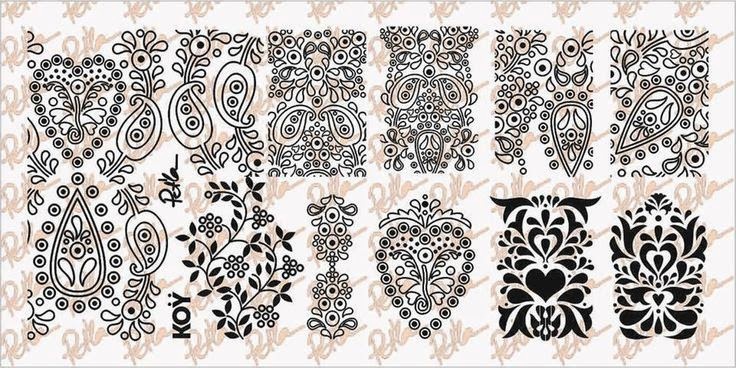 Golden Russian is a plate that reminds me of the kind of designs that initially drew me to the Pet'la brand. Don't get me wrong a brand needs room to grow and I love everything I've see so far but.. 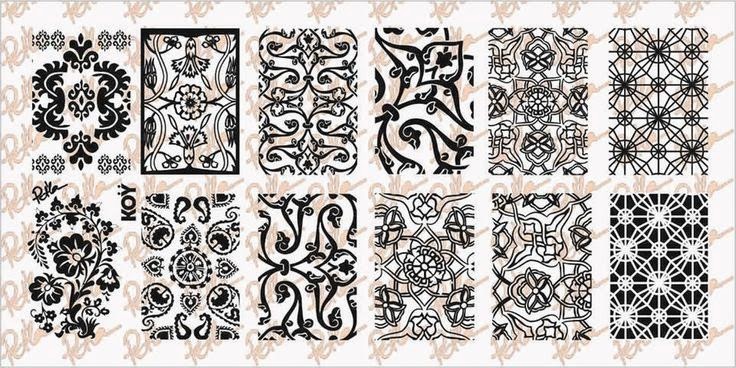 Bold, abstract and in your face - lol I like these designs the best. And this one is perfection from top to bottom! Tu-Turkey-Key. Oh my. Be still my heart! I absolutely adore this plate like the title it is utterly intricate and utterly beautiful! Oorie. Seriously another heart stoppingly beautiful plate. Super detailed and I love it! Puzzles. 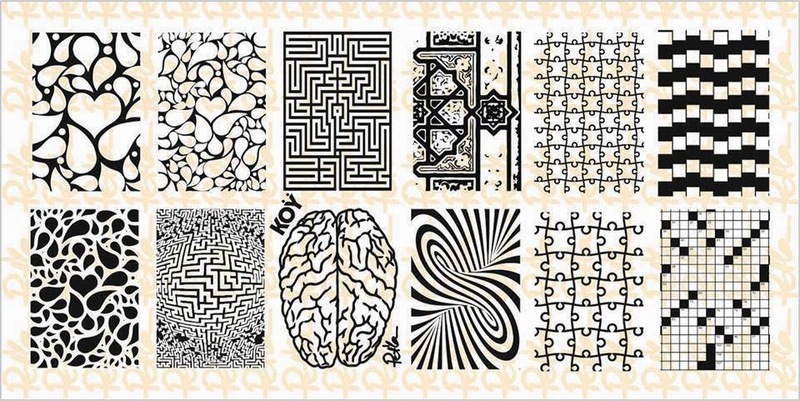 Exactly what it sounds like - mazes, detailed abstracts, puzzles, brains and patterns. Lol this is a plate that has a lot of offer. 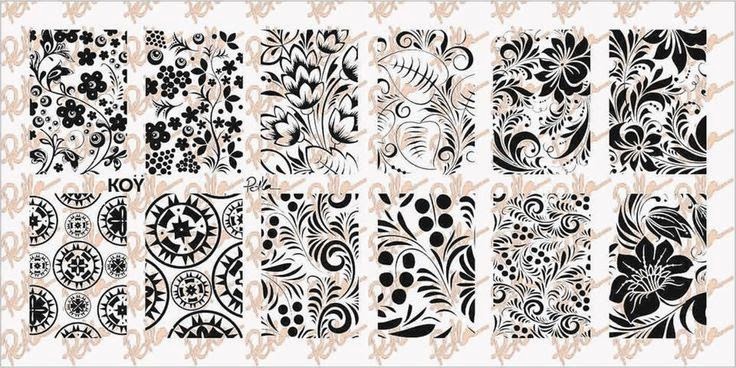 Image in the top row 4th from the left is so intricate! I like the one a lot. The brain is perfect for Halloween ;) Lol yes I am thinking that far ahead. Shenanigans. Strong finish lol. I actually already own this plate since I purchased the first set during a group buy and had the opportunity to pick up one more for the road. This plate is gorgeous. 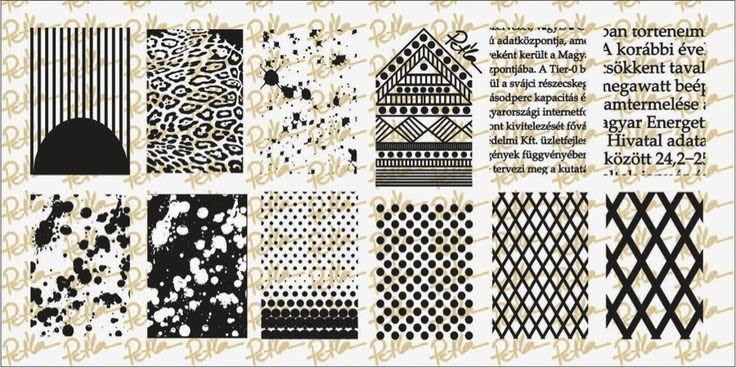 I love the text and the animal print the tribal. Pretty much everything! Thanks for posting this, I had no idea about the hungarian plates, will defenately check them! My pleasure sweetie! I actually posted about these before there is a link in the above post to the old one. I also posted a picture of the plates on instagram and I should have a review for them soon. They are really gorgeous! Tamira - THANK YOU, I bought them thanks to you, they have patterns far too big for my tiny petite nails, which gives the possibility to do two nails at one go :) so turns out to be actually the advantage :D I love them, they're great! I got my first Pet'la plates review on my blog, so if you want to, you may have a look. where can i get the puzzle plate! ?